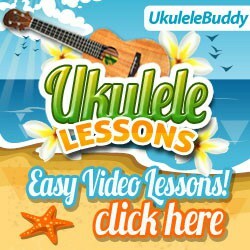 The ukulele pictured is one of my favorite beginner ukuleles, and a top recommendation among teachers, the Makala MK-S.
Makala ukes are great sounding ukes for the money and great for beginners! They are also a favorite among teachers because they represent a great value. 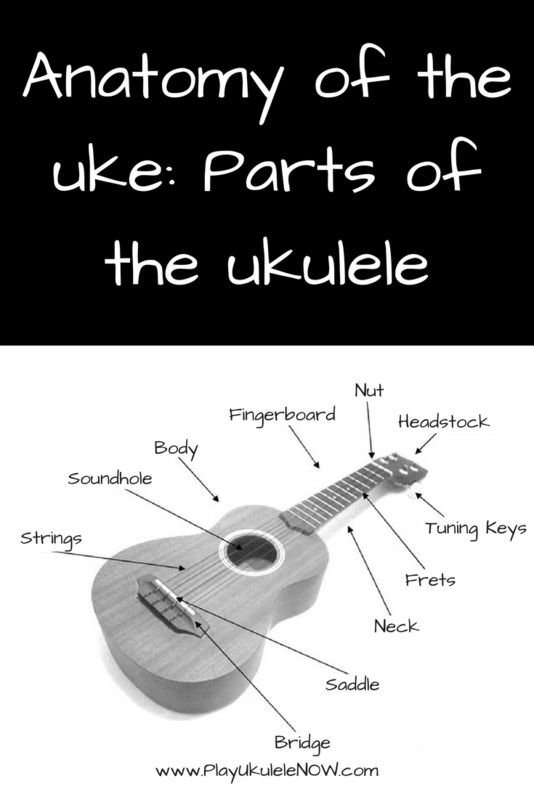 The body of the ukulele is the part that produces the sound. The body consists of the top, the back and the sides. On better quality ukuleles the top - the piece of wood with the soundhole in it - is made from solid wood. Inexpensive ukuleles will have a top that is made from laminates. A laminate is a number of pieces of wood glued together like ply-wood. ​A solid wood top will produce a more pleasing sound than laminates, solid wood will vibrate with the sound of the strings and produce a louder richer sound. The best ukuleles will be made of all solid wood. The more solid wood that is used, the better volume and projection you will have. The quality of the strings play a big part in the sound quality of the ukulele. Strings are made of nylon, nylgut, or floro-carbon. These are all synthetic materials. Nylgut, or floro-carbon are preferred for their better sound quality, nylon is less commonly used. Aquila are among the most popular strings and are likely the most recommended by teachers and professional players. Many better quality ukuleles come already equipped with Aquila strings. The soundhole is the round hole in the body, it projects the sound. Usually the sound-hole is underneath the strings - but not always. Since the wood vibrates the most right under the strings some ukulele makes find that is is more desirable to put the soundhole elsewhere to produce a sweeter sound. The bridge is attached to the top of the ukulele, the strings attach to it. There are two types of bridges commonly found on a ukulele. One where the strings tie at the bottom and one where the string is threaded through it and tied in a knot. The bridge is usually made out or rosewood. The saddle is a thin usually white piece that sticks up out of the bridge. The strings rest on top of it. On inexpensive ukuleles these are made out of plastic. On better ukuleles they might be made out of bone or a hardwood like ebony. The neck is the piece of wood that extends from the body to the head-stock. A ukulele neck is not as strong as a neck you would find on a guitar or a mandolin. This is because steel strings are used on guitars and mandolins and nylon or plastic strings are used on ukuleles exclusively. ​The neck dose not need to be as strong because nylon strings have allot less tension than steel strings do. 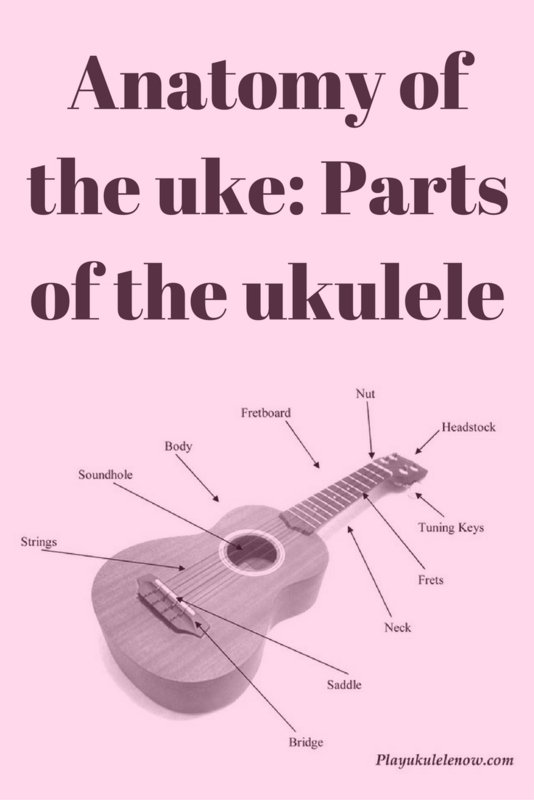 Because there is less tension on the strings, ukuleles do not need, or have a truss rod adjustment like guitars and mandolins do. The fretboard is the piece of wood that attached to the the neck. It runs the length of the neck underneath the strings. Fretboards are usually made from rosewood. ​On nicer ukuleles they might be made from ebony. On entry level ukuleles they will be made from a less expensive hardwood and painted black. On these ukuleles the fretboards may be described as ebonized. This means they are made of hardwood and painted black. The frets are the strips or pieces of metal that you will find placed across the fingerboard. You push down on the string just behind the frets to make chords and play notes. ​The frets are typically make of nickel but on inexpensive ukuleles the're made of brass. Brass is softer and less expensive than nickel. Since brass frets are softer they may not hold their shape as long as nickel. The nut keeps the strings in their proper positions as they go from the fretboard to the tuning keys on the headstock. 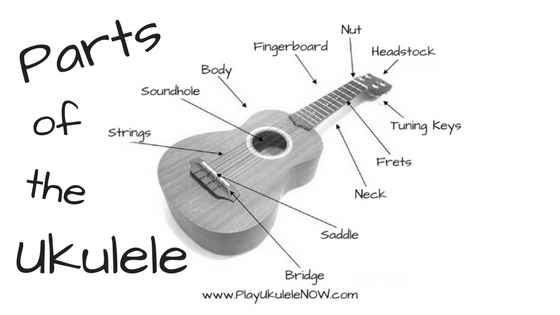 ​Nuts on better ukuleles are made of bone or ebony. On entry level ukes they are made of plastic. The fret markers are the dots you see on the fretboard. On ukulele they help to mark the 5th, 7th and 10th frets. The headstock is located at the end of the neck and fretboard. The tuning keys are attached to the headstock.